Winter whites were all the rage this season, but I’ve got great news for you. They’re not going anywhere! Once mistaken as a understated choice, white is going to be your serious statement-maker this spring. 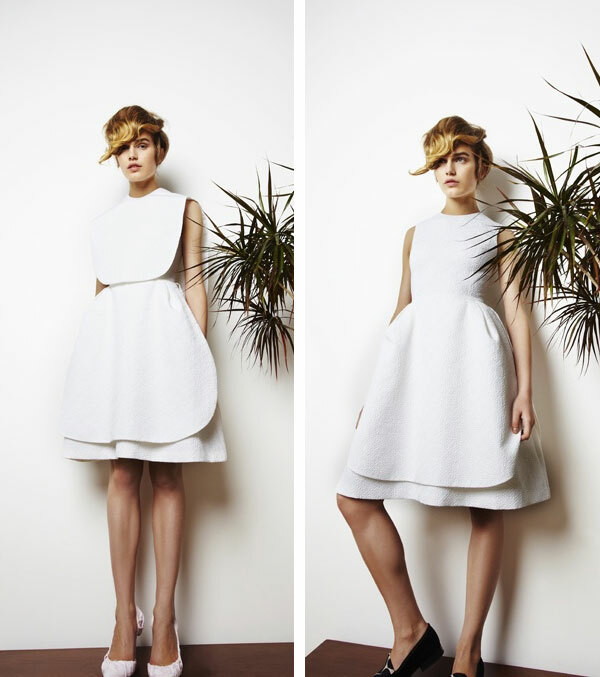 Take a look at the collection from Natalia Alaverdian called A.W.A.K.E. It takes head-to-toe white to an elevated level with three piece suiting, crisp tailoring and sharp silhouettes. This white is about as far from the beach as you can get. If you’re looking to make a sophisticated statement in your board room, I would give white, instead of black a try. You’re going to be noticed, rather than fade into the generic corporate background. What do you think? Does wearing white still feel fresh and exciting to you too? Love! 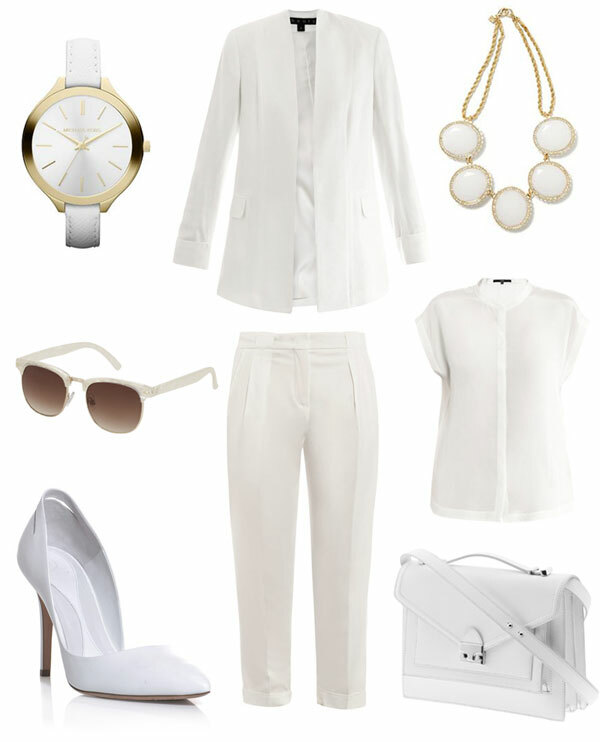 White sunglasses are on my must get list for spring and that watch might also be calling my name! Love the white and gold MK watch! That will be added to my spring wardrobe immediately. Still totally fresh and exciting! Oh it makes me very nervous! Thankfully Tide To Go pens exist, they’re lifesavers!! I’m currently swooning hard for a white blazer. I want to add one to my collection! Agreed Michelle! A white blazer is definitely in my top 10 items every woman should have in her wardrobe!